Arper at the ICFF in New York present the new products of 2008, Catifa 60 (design by Lievore, Altherr, Molina) and new variations on the existing collections designed by their and Jean-Marie Massaud’s studios. A new product and a series of innovations that confirm the company’s focus on the contract market – without forgetting domestic spaces. 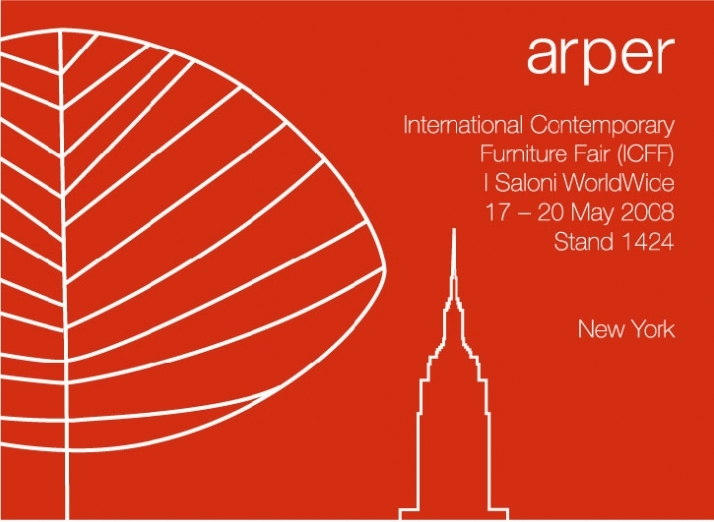 From June 2008 Arper will be on American territory with a new branch ARPER USA Inc, (headquarter in New York) and a warehouse in New Jersey. Catifa 60, new entry 2008, is a new addition to the extensive Catifa range. It retains the same delicate, sinuous lines and adopts a new shell that makes the design even more practical. Catifa 60 is available in three heights (low, medium and high) and was conceived for board rooms, offices and conference halls. Product variants Arper include the new aluminium 4-star trestle with or without wheels for the Duna, Palm and Catifa 46 and 53 models. The Aston family has also grown: from this year the Conference version is also available with a 4-leg or cantilever base. A new polyurethane cushion is now available for the chaise longue from the Leaf range, with its distinctive, original design inspired by nature. Innovations for the Palm range too, with a new, lighter polyethylene shell and expanded colour range. These are just some of the innovations Arper is introducing in 2008. The EPD is awarded after a life cycle assessment (LCA) of the products concerned. This enables their environmental impact from start to finish of their life cycle to be evaluated through an in-depth analysis of each stage of the process: raw materials, production and distribution, and then on to use and disposal. This type of study provides quantitative data on products with respect to pre-set parameters that enable their environmental performance to be communicated fairly. The transparency and accuracy of the information provided are guaranteed by the external EPD certification and by registration by Norway’s NHO (a member of GedNet – the Global Type III Environmental Products Declaration network). GedNet harmonises the EPD programmes developed by individual countries at the international level and is recognised for Canada, Denmark, Japan, Germany, South Korea, Norway, Sweden, China and the USA - www.gednet.org). 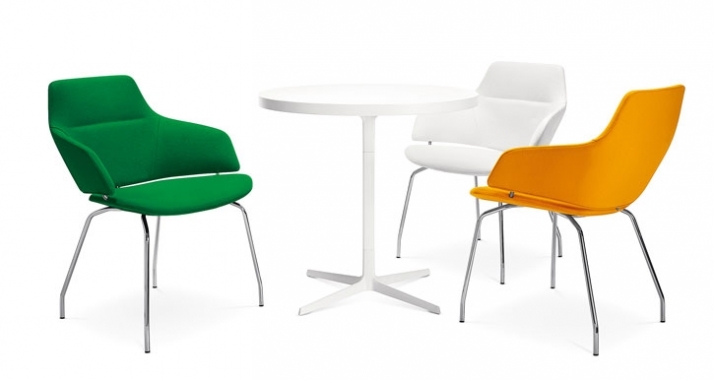 New from Arper for 2008. Further enriches the already extensive Catifa range. The same sinuous, soft lines that already give Catifa chairs their distinctive look, but with a new shell that make them even more practical. The Catifa 60, conceived by the Lievore, Altherr, Molina studio, is available in three heights (low, medium and high) and has been designed for executive rooms, offices and conference rooms. The Catifa 60 chair is available in soft polyurethane with leather or fabric covering, in a choice of colours, and can be fitted with covered armrests. The base is available in 5-star version on castors, swivel or with tilt mechanism, or in 4-star aluminium version, swivel or with repositioning mechanism. The Conference version of the chair presented in 2006 and designed by the Jean-Marie Massaud studio is now available in more variants. The version of Aston with low backrest is in fact now also available with four-legs steel base, more suitable for the home, or with cantilever frame, also in steel, which is ideal for offices. Available with a wide choice of leather or fabric coverings, the Aston shell (in three heights: low, medium and high) is padded with polyurethane, providing comfortable support for the whole body with its wrap-around forms. The base is available with central swivel structure in shiny aluminium, or painted aluminium for the version with low shell, as well as in cantilever and four-legs version. The Leaf range is complemented by a comfortable polyurethane cushion, available for all versions: chair, stackable chair, lounge chair and, from this year, also available for the chaise longue. Even more comfort and originality for a seat that stands out due to its natural inspiration and its adaptability to every type of space. 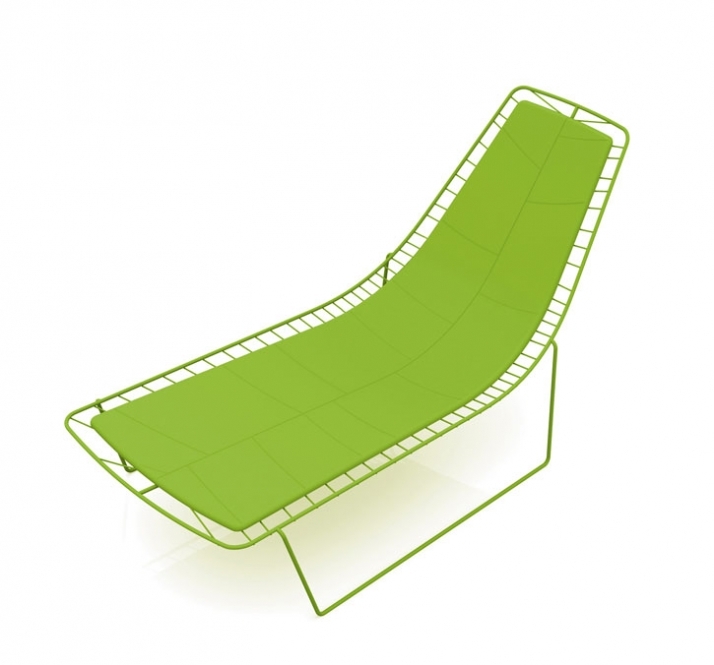 Produced in steel with painted finish suitable for outdoor use, in white, mocha or green, Leaf is also available with a choice of two types of cushion, depending on the seating: polyurethane for outdoor use, with a decorative effect that echoes the motif of the metal structure, or in soft leather for indoor use. The chair also comes with a chrome finish. From today, the cushion is also available for the chaise longue.